December 7, 2017 In Keynote speech, News What is Michelle doing now? Michelle created a photo quality classification chart, which explains clearly the differences between high and low quality hotel photography, and the implications of these differences. A very valuable document for anyone considering or pondering on hotel photography guidelines. Commissioning hotel photography is difficult, because a photo shoot is intangible – until you see the results. If you buy a car, that is a tangible product and you can compare specifications against price, as well as different models. In photography a huge chasm exists between commissioning low and high-quality photography, just like the difference between buying a Ford Fiesta and a Rolls-Royce. This detailed three-page document explains specifically the levels of quality that you can expect from a photographer, depending on the amount of time and expertise on offer. 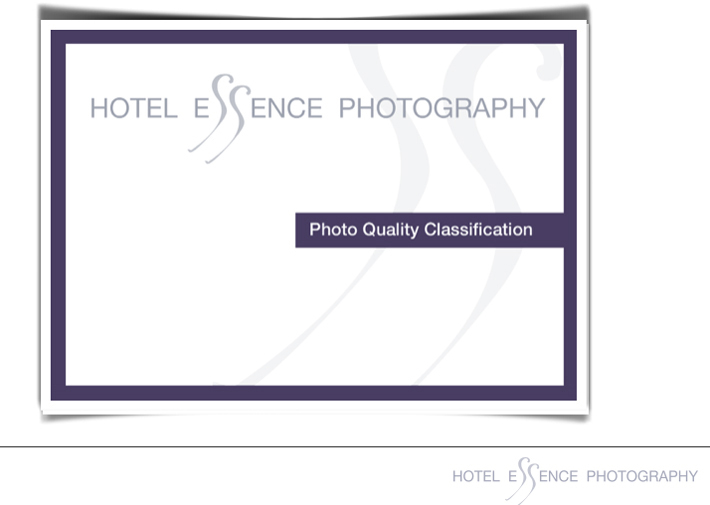 To view the original blog post and obtain your own copy of the Hotel Essence Photo Quality Classification Chart, click here. A live nativity scene (Belen Viviente) in the Spanish town of Arcos de la Frontera. Over the years Michelle has covered numerous festivals in Andalucia and this time it was the turn of the Belen Vivente (Live Nativity), which takes place in the beautiful, white hilltop town of Arcos de La Frontera each December. The whole of the historic center is completely pedestrianized and on every corner there is a live on-going representation of the nativity story. There is also live music and excellent food served all night. The Parador of Arcos de La Frontera, perched high up on the ravine, is the perfect place to stay during this annual celebration.